Camping Leukbachtal si trova a Saarburg, Renania-Palatinato, è situato fiume/torrente. Questo campeggio dispone di piazzole delimitate, sia ombreggiate che, senza ombra e piazzole poco ombreggiate. Ogni anno un ispettore visita il Camping Leukbachtal, controllando oltre 200 tra attrezzature e altri punti di interesse del campeggio. L'ispettore è un dipendente ACSI e non lavora per il campeggio. Stayed for one night as we were passing through, but enjoyed it. Reception spoke good English and was very helpful. Wifi at our motorhome pitch was good and facilities clean and in good order. Spent the morning walking into the town along the beck and found it fascinating and very attractive in the centre. Well worth a visit. We were made very welcome although the owner had little English . The motorhome pitches are in a separate area and have part hard standing. The facilities are clean with plenty of hot water. WIFI is available free near the reception. It is very pleasant walk into the lovely town of Saarburg. There is a large supermarket about 300 yards away. A small quiet site within walking distance of a supermarket, swimming pool and interesting town centre. Although the owner could speak almost no English she was very pleasant and helpful. The facilities were very clean and plenty of hot water for washing dishes etc. Pitches were slightly small. Volete prenotare il Camping Leukbachtal o oppure saperne di più? Potete farlo usando i seguenti dati. Da Trier prendere la B51 verso Saarburg. Seguire la segnaletica per l'ospedale e poi i cartelli per il camping. 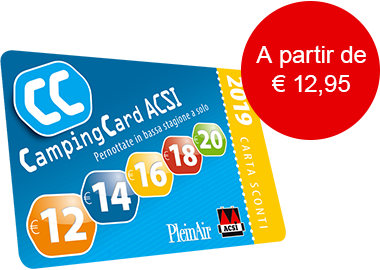 ACSI Eurocampings invia la tua richiesta di informazioni al "Camping Leukbachtal".